Chocolate groom’s cakes are popular in the American South. Across the pond, in jolly old England, Prince William is reportedly having one, too! 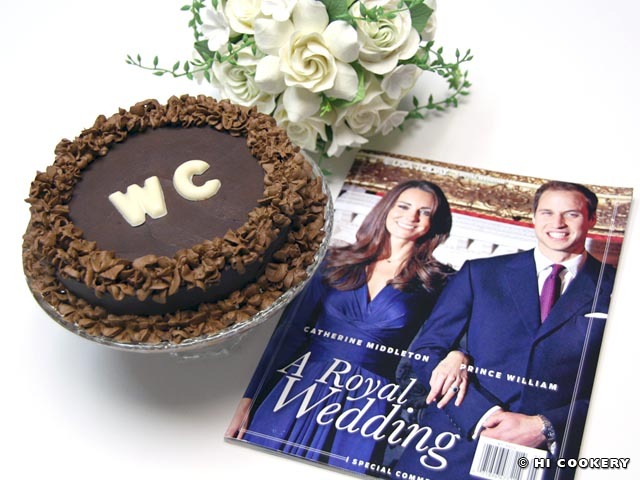 Alongside the traditional, elaborately-decorated British fruitcake as a wedding cake, the chocolate biscuit (cookie) cake is Prince William’s choice for a groom’s cake. It is a royally rich, crunchy chocolate confection, which is one of his childhood comfort foods as well as his grandmother’s (the Queen’s) favorite tea cake. Many royal wedding watchers and foodies are probably preparing this decadent dessert to celebrate the historic moment when the prince weds a commoner like the rest of us. Then we can get a tiny taste of the rich, royal life—as if we ourselves were attending the fairy tale wedding of the century—and have his cake and eat it, too! Congratulations to the happy couple from HI Cookery! 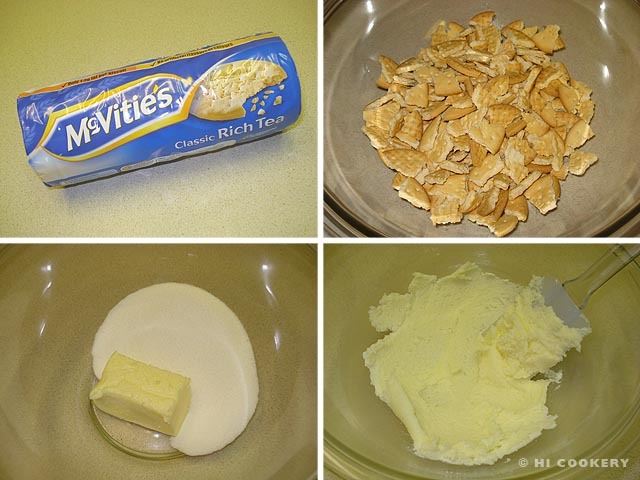 Break the biscuits into ½ – 1 inch pieces but not into crumbs. Set aside. Butter a 6 x 2 ½ – inch springform pan. In a large mixing bowl, cream the butter with the sugar. 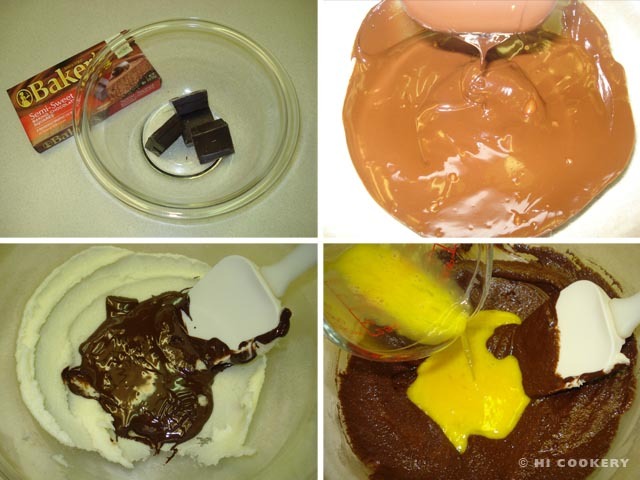 In another bowl, microwave the chocolate until it is melted. Pour this into the butter and sugar mixture and stir until smooth. Mix in the beaten egg. Fold in the biscuit pieces a little at a time until everything is well coated. Line the springform pan with greased parchment paper. Press into the pan until all spaces are filled and flattened. Refrigerate for at least three hours or until firm. 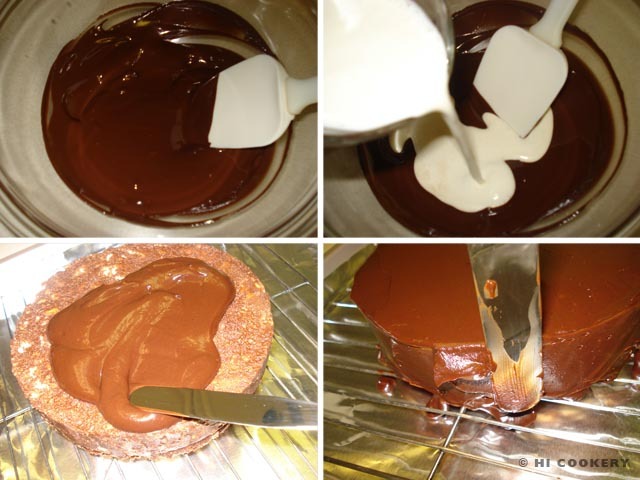 On a foil-lined baking sheet with edges, unmold the cake onto a wire rack. Use a spatula to loosen the cake from the springform pan. Peel away the parchment paper. 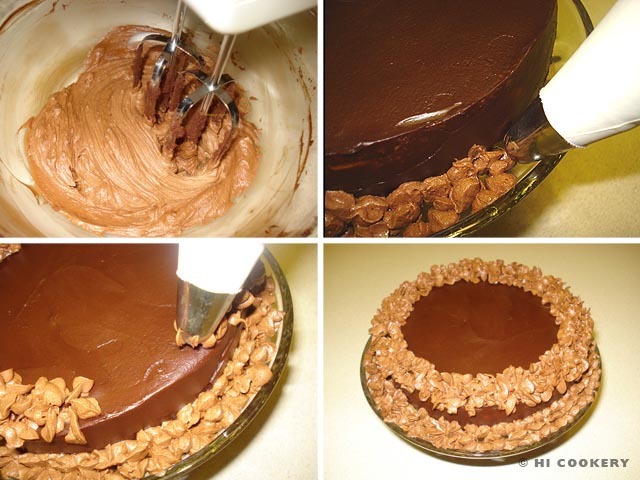 Brush off any crumbs before pouring the chocolate ganache topping over it. Melt the chocolate. Stir in the cream until well combined. 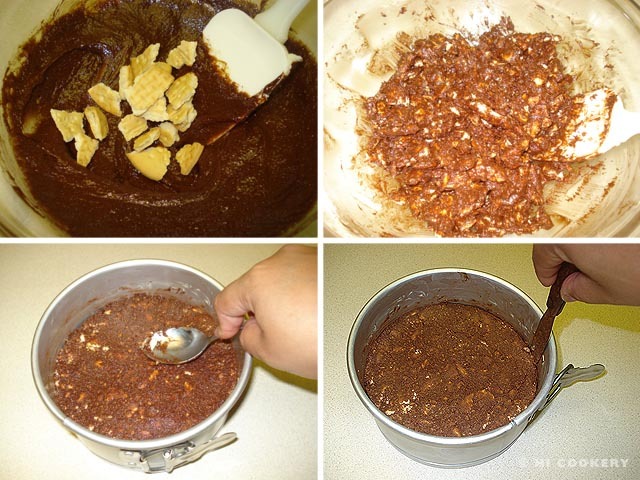 Pour the mixture over the cake and smooth it over the top and sides. Transfer to a cake plate or pedestal. Chill the cake to let the frosting set. Let the remaining chocolate cool to thicken. Then whip to a firm consistency (it will be a slightly lighter shade of chocolate). Fill a pastry bag with a decorative tip (we used Wilton tip #2D) and pipe borders on the top and bottom edges of the cake. Refrigerate to set. Bring to room temperature before slicing and serving. Top the cake with additional desired decorations, such as a monogram or bride and groom figures. 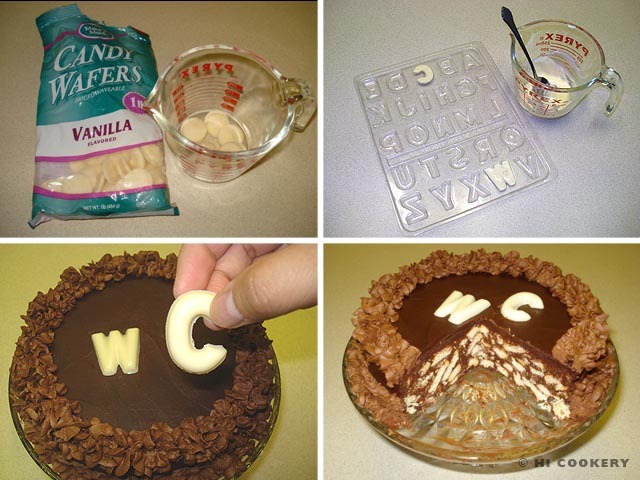 We used white chocolate/vanilla candy wafers that were melted and cooled in an alphabet mold to make our monograms of the letters W and C for William and Catherine. Thanks always to our dear friend Lisa L. for sending some ingredients from Europe. Unfortunately, the McVitie’s rich tea biscuits that she and her husband John L. (a Welshman) had mailed more than three weeks ago did not arrive in time to make Prince William’s groom’s cake (fortunately, we found the cookies at an English tea shop in town). We also blame the post office for losing our invitations to the royal wedding!!! His is beautifully decorated–and decadent! Wow, you did a great job there. It looks great. I think I’ve made something like this before, but we call it “hedgehog slice”. Beautiful decorating job.